Has anyone noticed how Lego has so many obsessions when it comes to Super Hero sets. Besides the obvious with making most of the sets based on their favorite characters... Like Spiderman and Batman. For Spiderman there has been 8 Marvel sets based on him. 1 Juniors set, 1 Micro Racers, and 3 more sets to come in the summer with him potentially him in the 4th Civil War set. There has been 8 variants to the character but really a lot of them don't change too much. Out of the 45 Marvel sets (Up to Doctor Strange) he has been in 14 of the sets. Now Batman..... There has been 8 "DC SUPERHEROES that he is not in. 2 Juniors sets, 1 Micro Racers and 2 more sets to come in the summer with the potential R'as Al Ghul set. There has been 20 variants to the character. So out of the 36 DC sets he has been in 24 of the sets. Also they have the weird tendency to put fire extinguishers in sets. Or maybe they've just been ketchup bottles the whole time! Anyways I just thought I'd everyone know and see these obsessions Lego has. Let me know if you guys have noticed anything! How about "Supervillains must be holding dynamite at all times"
Yeah, it makes sense that they put Batman and Spider-Man in half of their sets since they are so popular. I also don't think the Quinjets are strange since their design changes from movie to movie, so it makes sense that they make a set based on each version, not to mention that it's the Avengers' most iconic vehicle. And the Avenjet is a different vehicle altogether. Iron Man also seems to be a popular character to include in sets for them, although not as popular as Batsy and Spidey. But yeah, the inclusion of a fire extinguisher (not hydrant) in every other set indeed seems to be a strange obsession of the designers. But maybe you're right, maybe the Avengers just really like to have ketchup with their shawarma. Another nasty obsession is the overuse of the ADU gun, but thankfully they finally started using more realistic guns in the Civil War sets. Since when has this been an issue? I can only think of a handful of villains who have ever held dynamite. Spider-man and Batman are popular. Duh. My quintessential model is the Spider-man 3 dark-blue. I'm dying for a Symbiote Spider-man that's not a $200 Comic-con exclusive but aside from that, I could care less about his latest mold. But Spider-man for Marvel (and Batman for DC) are known to have the best line-up of villains. It's one of the reasons they're popular. That's why, as somebody who grew up on the 90s Spider-man cartoon, I'm really excited about the summer sets because of Scorpion, Kraven, the Goblins, and Vulture... and I would still like to see 1. Mysterio, 2. Kingpen, 3. Shocker, and 4. a legitimate Rhino. You also have the Ultimate Spider-man variants and of course there will always be new cartoons of characters that popular. Nobody else has as comprehensive a list of iconic rogues are those guys. The gallery of rogues for these characters are the largest. But yet they are reusing the same villains over and over... 3 Doc Ocks, 3 Green Goblins, 3 Harley Quinns and 8 Jokers. Hey I'm not complaining about any of this, just pointing out the stuff I'm noticing! Oh and it's been getting a lot better over the years! Doc Ock and Green Goblin each have Rami movie, Ultimate Spider-man, and "classic" variants. I'm only a fan of the latter but it makes sense. True. I don't think it matters for characters who have a generic and/or obstructed face like Ant Man, but for some characters it's a bit annoying, like Bruce Wayne's head on Loki. Oh, and can we add that they're being overly stingy with leg prints? I think this trend has improved a bit over the years, and the introduction of dual molded legs helped, but they are still making too many figs without leg prints, especially compared to other licenses like Star Wars or LotR. We've gotten the Flash three times now and he still doesn't have yellow boots! Excuse me, but where are you getting these numbers from? As far as I know, it should be 4 Green Goblins (including the Jumiors one), 6 Harleys (including the Arkham Asylum version), and 10 Jokers. Agreed, that would be fantastic, especially with the animated movie adaptation coming out soon. Sorry, I meant 5 Harleys. I'm looking at brickset which is a much more reliable source. One Harley and Joker were in the Dimensions team pack, and another Joker in the bumpercar polybag. Yeah, they really need to stop using Penguin and Ivy if they aren't going to give them any variations. I can understand that they want to include the Joker so many times without much variation, but these two are really getting tiresome, even if the Penguin had a different jacket in one set. Don't forget the Batmech! Since they include Batman in so many sets, they need to give him some kind of vehicle as well, and there is a rich history of Bat-vehicles for them to choose from. Yeah, they probably need to chill out with the Spider-Man sets. It's fair enough that Batman and Spider-Man arguably have the most iconic rogues galleries in comics, but they need to switch it up a bit more. Introduce kids to more heroes, like the Young Avengers for example (though it's very cool that the Teen Titans are all being staggered in over time). Ya that is all I'm trying to say, like LEGO expand please! The Spiderman line died in 2004 and the Batman line died in 2008.. In all fairness recently we have seen a good shift in gear when it comes to characters... kinda. Last year we not only got the Justice League and, thanks to the MCU, Ultron and Ant-Man. This year while we have gone back to Batman and Spidey being in the limelight they have started to use more variants and include different, lesser known characters (Hyperion and Blue Beetle or Scorpion and Katana). And with the Marvel movies taking up at least 3 spots a year for Marvel it is understandable why TLG would want to reserve remaining sets for Spider-man. Although in saying all that I do think 2018+ will accommodate us with what we want to an extent. Justice League comes out next year and so does the new Spider-man film, so I would predict we will see a decline in comic based Spider-man sets and have a more well rounded line-up for Marvel in future. As for DC, I would hope the rise in popularity with other characters will persuade LEGO to do do more than Batman but, that is being extremely optimistic. If anything I think the best we will get from DC is something similar to last years line, where it has a focus on more characters but batman still overshadows most sets. And while I agree they do need more changes in the way they produce sets, I also have the stance that they shouldn't be putting out sets that children won't buy because they have no interest in who Iron Fist is. The days where they start producing sets with say: Flash, Ted Kord, and the Question vs Toy Man and Pied Piper may seem like a dream come true until the line is discontinued the next year for not selling enough to call for another series. I want to see this theme go for as long as it possibly can so if that means another Batmobile or another Spider-man vs Doctor Octopus. So be it. I'm happy building up a roster of characters with baby steps. I remember this coming up in one of the designer interviews, either on YouTube or one of the BrickFair seminars. Marcos Besa was talking about the Guardians of the Galaxy Milano ship, which designed. He pointed out the extinguisher. It's more or less a running gag. It's kind of similar to how LEGO likes to include duck references in various sets as an homage to its earlier wooden toy duck. 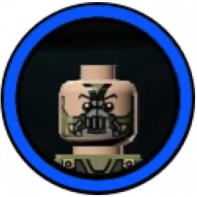 i would have really wished for a different faceprint for lex luther - mainly because Jesse Eisenburg looks a bit "un-Lex-like"
vehicle wise - i don't really care for big planes/spaceships or play-sets.